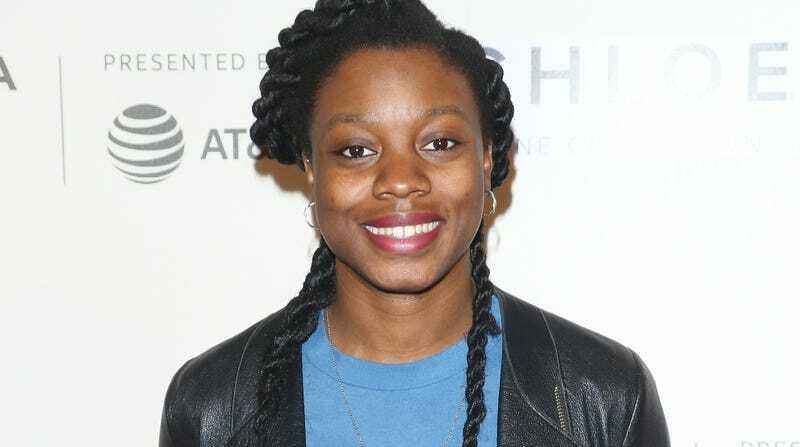 DaCosta at the 20189 Tribeca Film Festival, where her debut film, Little Woods, won the Nora Ephron Prize. A few months back, we reported on rumors that Jordan Peele—who’s been bound and determined to make the most of his Get Out cachet over the last year, launching a staggering variety of film and television projects in the process—was producing a remake of the 1992 horror mainstay Candyman. Now, Variety is confirming not only that Peele is producing a remake of the slasher staple—about an urban legend-style serial killer who comes when you call his name five times, as if anyone would be dumb enough to invoke the Candyman that frequently—but has also picked out a director, confirming that Nia DaCosta will helm the new Candyman. Peele also noted that the Tony Todd-starring original was hugely influential on him as a horror director, being one of the first major modern thrillers to focus mostly on black characters and black issues. (Although Virginia Madsen was the film’s lead, the hook-handed murderer primarily stalked Chicago’s Cabrini-Green housing project.) Even if it is a little silly to think that so many people would be unable to resist the urge to say “Candyman” quite so many—Hey, did you hear that? One sec, we have to go check on something, We’ll be right back. Oh, no, not the bees! Not the bees! AUUUUGGGGHHH!